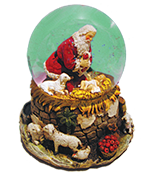 Our Store abounds in beautiful ornaments, greenery, knick knacks and collectibles. We offer a huge selection of Jim Shore items that will delight you. Our Snow Babies display offers a playful trip into a world of fun memories. We are excited to now be offering Department 56 Snow Village, Halloween and Peanuts Villages. We have numerous pieces to enhance your collection and to brighten up any room. Looking for the perfect gift for your sports enthusiast? Check out our huge NFL™ section. From ornaments to mugs, glasses and can coolers to stained glass clocks and wine holders - we have something for everyone. We also carry NBA, MLB, and NHL and NE. Huskers ornaments to round out the sporting area. Elvis, the Beatles, Marilyn Monroe, Coca-Cola and Disney all grace the shelves and pegs throughout the store. Don't forget the nutcrackers! Our giant Sentry guards a huge variety of nutcrackers from traditional to out of this world! 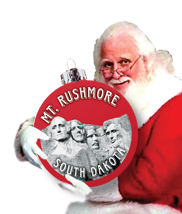 Big Sky carvers Bear Foots adds a whimsical flair to their ornaments and collectible figurines.